Mynydd Tir y Cwmwd (The Headland) - A vast area covering about 175 acres with a covering of gorse and heather. 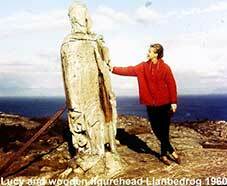 Fine views can be seen from the top towards Abersoch and Pwllheli as well as over Cardigan Bay. The whole area is common land and is zigzagged by many paths. Great care must be taken on the slope with children as numerous accidents occur annually. 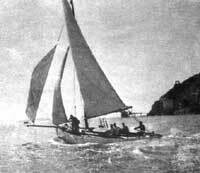 Along the cliff coast are situated three disused granite quarries, a relic of pre-war activity. 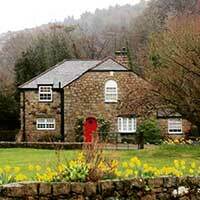 Footnote: Approx Oct/Nov/Dec 2015 - A group of people have purchased from the MacMaster's estate Llanbedrog Headland - the group calling themselves the LLANBEDROG HEADLAND COMPANY LIMITED - Spring Court Spring Road, Hale, Altrincham, Cheshire, WA14 2UQ - Registered: 24 July 2015 consist of: MATTHEW JOHN NICHOLS and JAMES EDWARD NICHOLS - sometimes known as the Vimto Brothers, EDWARD MICHAEL BEAR GRYLLS (a TV adventurer that bought St Tudwal's West island some time ago), NEIL JOHN DUNCAN LAMONT (a cheshore property developer), not sure what their plans are at the moment - let's hope they are not allowed to spoil this lovely iconic area which is not only common ground but also a "Site of Special Scientific Interest" SSSI and also an Area of Outstanding Natural Beauty (AONB). At the sea end of the headland from the beach when the tide is out, you can see the remains of the jetty (Trwyn Llanbedrog Gwaith Canol jetty) that was used by ships to transport the stones from the quarry to their ultimate destination. 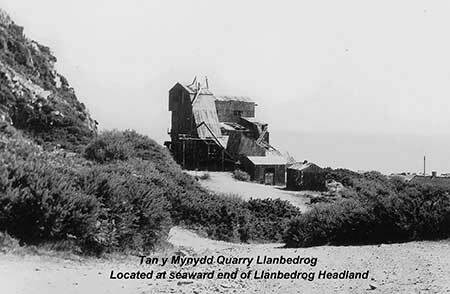 You can also see the remains of the old quarry buildings one in particular is a large hopper building pictured below, where stone sets that were quarried and cut at the quarry were stored before being transported again by ship to their ultimate destination. The hopper building used to store the stones sets prior to shipping from the quarry. 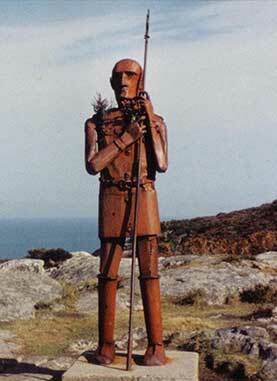 It is not clear what the purpose was of placing what has become known as the Iron Man or Tin Man on Llanbedrog headland. 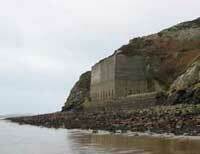 However, it can be seen from the beach and of course from the grounds of Plas Glyn-y-Weddw. 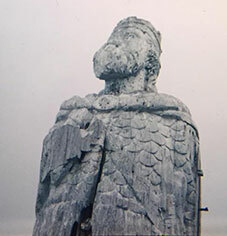 The Original Iron Man (pictured left) was a figurehead from a ship, placed there by Solomon Andrews, a wealthy Cardiff businessman. When it was vandalized by being burnt the village decided to replace it with another one (pictured middle), Mr Simon van de Put a 'local' artist/sculptor living in Lanbedrog, (1976-1990) was contacted by neighbour Will Jones, Councillor and Berwyn Jones father, to see if he would make a figure to replace the vandalised, wooden ships figurehead erected in 1919 by Solomon Andrews Cardiff business man and former owner of Plas Glyn y Weddw. 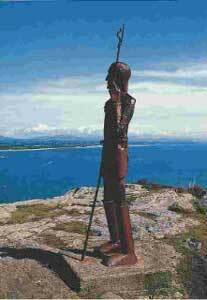 Simon agreed and the figure was constructed from recycled steel sheet and bar and represented an ancient man who possibly roamed the headland in former times. 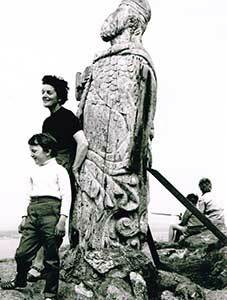 The work was completed in March 1980, transported by tractor and trailer across the headland and then 'man handled' into position by various members of Llanbedrog Community Council and Simon included. The sum for this work was agreed as £50, as Simon a resident of Llanbedrog, was happy to donate his time to the Community Council. 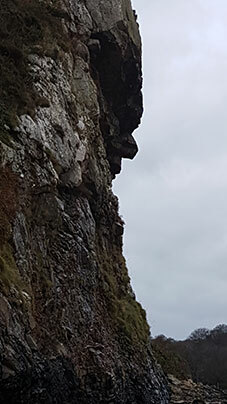 Due to the materials used and the untreated surface, (all the better to blend in with the natural surroundings) the 'Iron Man', as was expected, gradually decayed until all that was left were his boots. The refurbishment in 1987, was generously paid for by a Mr Rowley, St Annes Lancs, a summer resident living near the beach. Simon's not sure when 'Tin Man' came in to use - but he says you could blame the Wizard of Oz! As far as Simon is concerned, during the time he was a resident in the village it was always known as the 'Iron Man'. There was also a completely mis-leading article in the Daily Mirror 'Old Codgers' readers queries page, stating, despite Simon's description over the phone, that it was constructed from pewter - an even more expensive material than tin! (PS Our Thanks for Simon van de Put for updating us on these details). Again the village decided to replace the second one with a third (pictured right), again using local village talent. 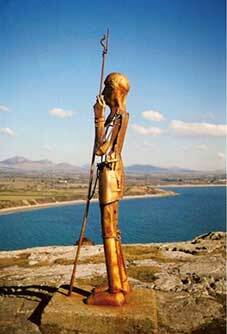 The team consisted of Berwyn Jones, who designed the new Iron Man and two local craftsmen David and Hugh Jones who created the final product. This was helicoptered into position on Llanbedrog headland on Jubilee weekend (1st June 2002). 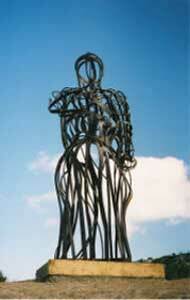 The new one is hollow and is good to visit on a windy day when the wind makes the Iron Man sing! If you want to contact the backsmith who did all this sterling work look at his web site on www.thjones.co.uk just click on the link. The headland is a fabulous place to walk with magnificent views - well worth a visit. Also worth a visit is Foel Felin Wynt, Foel Fawr, or Foel Tŵr or the Jam Pot as it is known locally is well known for it's old windmill on the summit. It is thought that several lightning strikes put the windmill out of action, and today just the shell remains. Views from here extend East, over Pwllheli to Snowdonia, South over Cardigan Bay, Abersoch and St. Tudwal'sIslands. To the West is Rhiw Mountain (with the tall mast/antenna) and to the North is Llithfaen and the Rivals (3 peaks like a dragons back). We would recommend parking at Mynytho Common, where there are picnic benches and public toilets, if required. There are also some good views, at this point, of the St. Tudwal’s Islands. From here, it is a walk of approximately 1.4km (0.8 mile) via the road to the entrance and footpathThe entrance is clearly identified by the National Trust signpost which has another name - Foel Felin Wynt - literally meaning Wind Mill Hill. Alternatively, from the recommended parking, there is a public footpath (look for the sign post), approximately 0.7km (0.4 mile) along the road which cuts across the field toward Foel Fawr. You may need some waterproof footwear for this route, if the weather hasn’t been good. From the entrance point, follow the path up the fairly steep but short assent, which is uneven and a little rocky in parts (slippery when wet !). Once at the summit you can take in the views.